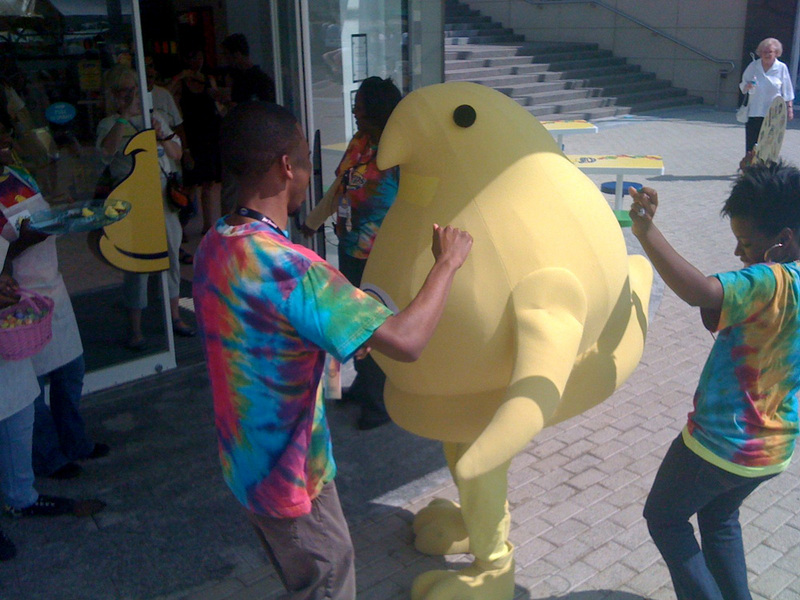 If It's Hip, It's Here (Archives): Pushing Peeps. 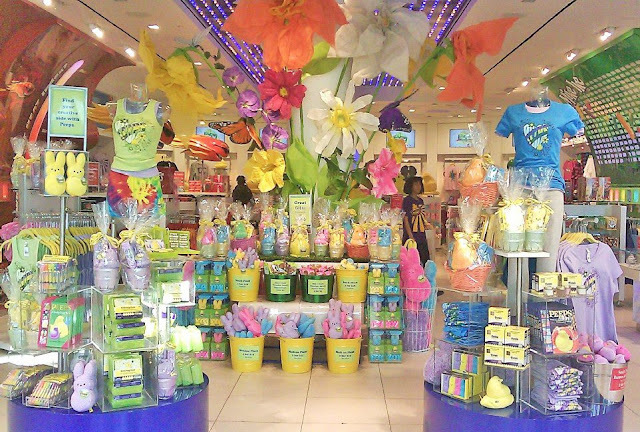 A New Peeps Store, Easter Peeps Contests, & New Peeps Products. 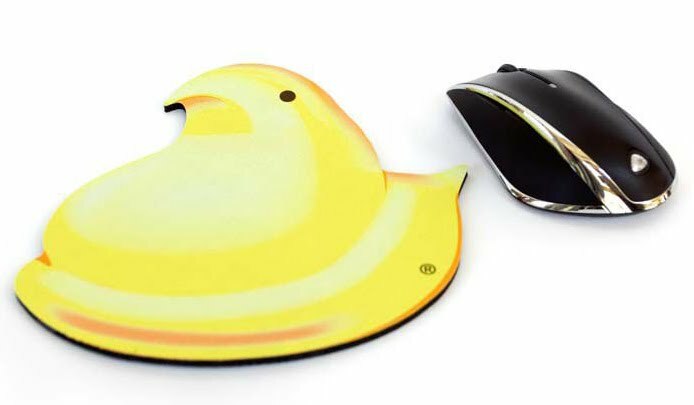 Pushing Peeps. 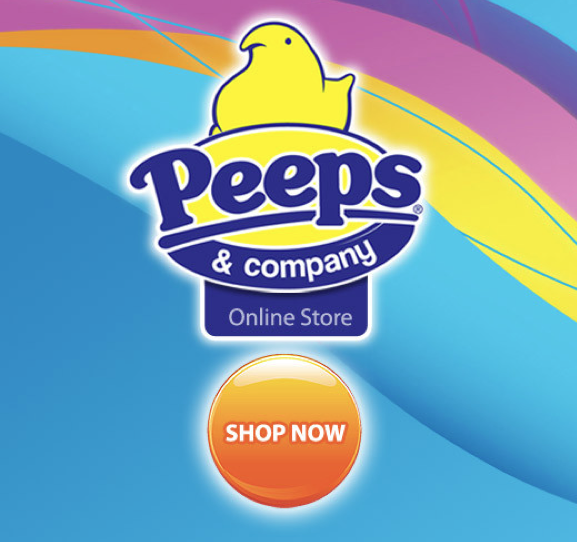 A New Peeps Store, Easter Peeps Contests, & New Peeps Products. 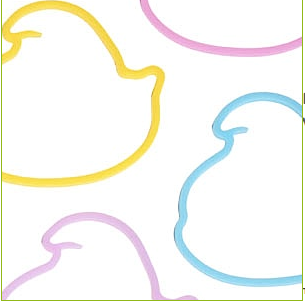 Those colorful sugar-coated marshmallow Easter treats shaped like bunnies and chicks continue to expand their cult-like popularity. 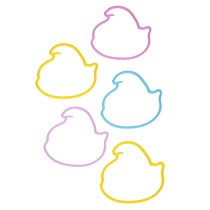 More colors, chocolate dipped, bite-sized and sugar-free versions are now available. 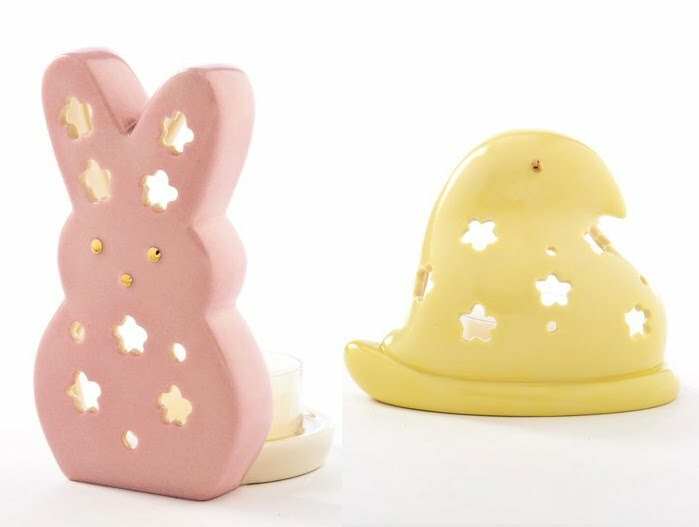 In response to the public Peep demand, Just Born has opened their first Peeps & Company store and have launched a new dedicated e-commerce Peeps site. 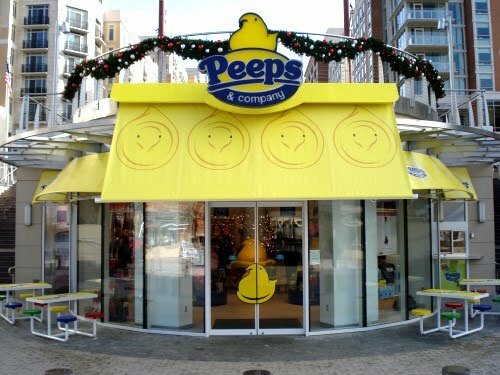 PEEPS & COMPANY® is located at the very center of National Harbor's dynamic main plaza. 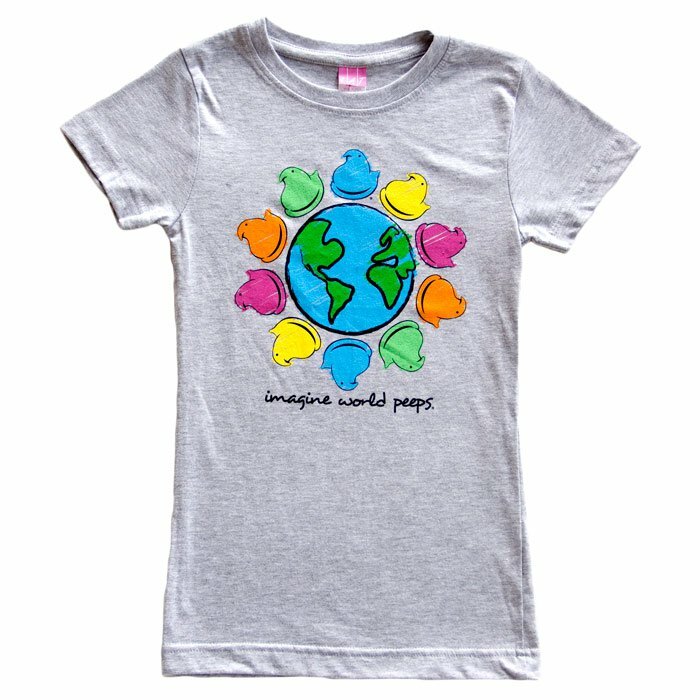 Directly in front of the PEEPS & COMPANY® store is Seward Johnson's famous statue, The Awakening, along with sweeping views of the beautiful Potomac River. 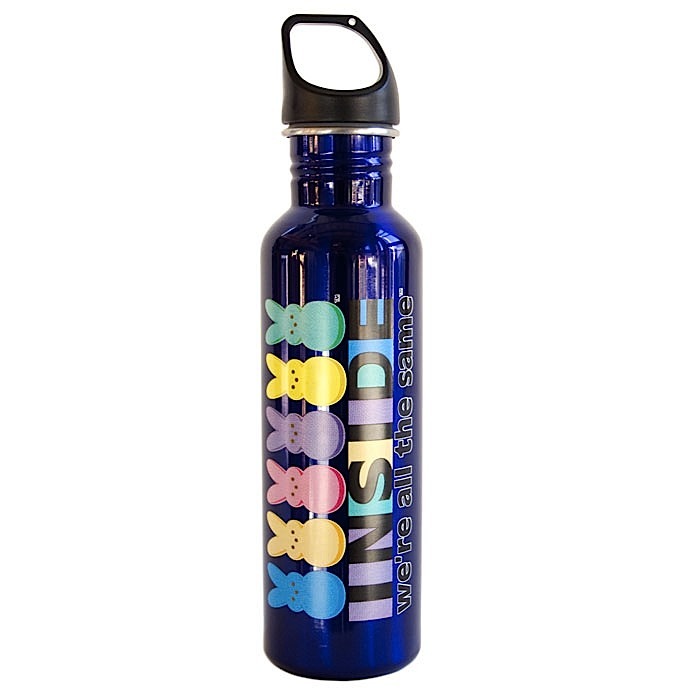 The store's location is at a converging point for residents and thousands of visitors arriving by metro bus, car, and ferries, which dock at the piers in front of the store. In a joint statement, David Shaffer and Ross Born, Co-CEOs of Just Born, commented, "This is a momentous occasion for Just Born, our family of associates, and fans of our candy. 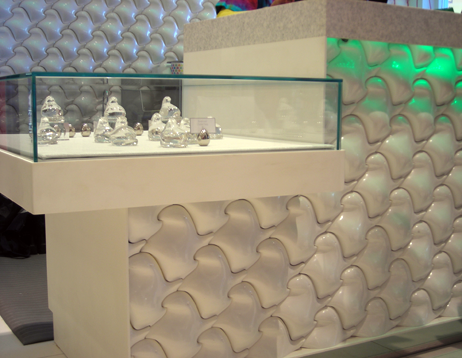 For years, we have seen tremendous growth and excitement for our brands, and received many requests for a store in just the right location. PEEPS & COMPANY® is proud to join the community near our nation's capital." 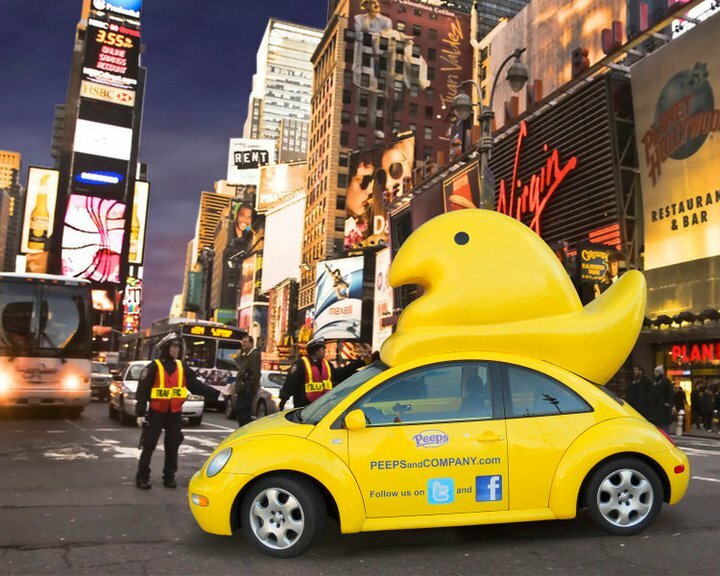 The stores and site are being promoted with a Peepmobile (actually called the Peepster Car for some odd reason). Annual Peeps contests in which people create scenes and dioramas using the Easter favorites keep on growing. 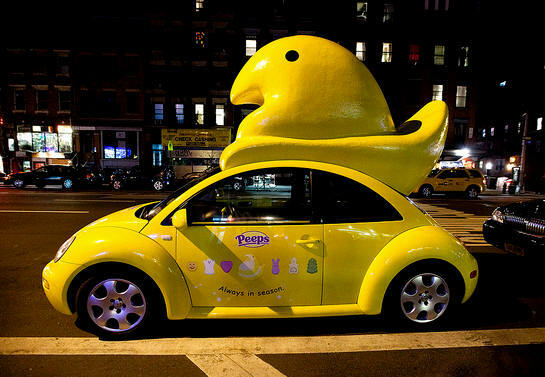 Several major newspapers now sponsor Peeps contests. 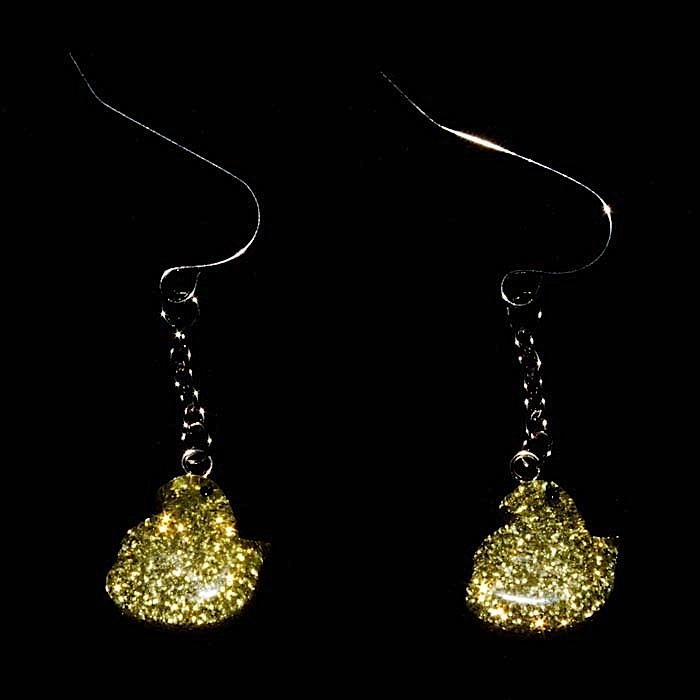 Instead of showing you images of multiple entries like I have in the past, there are just too many, so instead I will show you the winning entry from the Washington Posts's contest along with links to the other contests so you can view the entries and winners on your own. 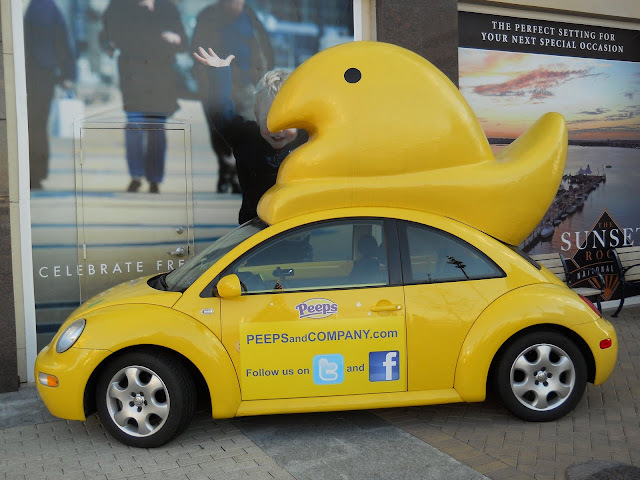 •"Valley of The Peeps" contest, Allentown, PA.
Not only are the contests gaining more popularity but more and more non-edible Peeps products are being marketed. 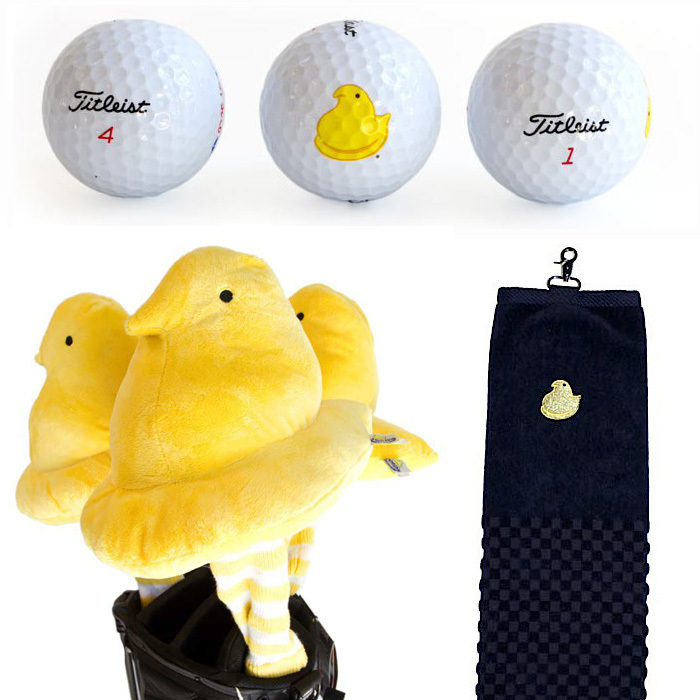 More peeps stickers, mugs, mouse pads, plushies, apparel and even golf accessories join brands like Lenox to create more branded items available from the Peeps online store. 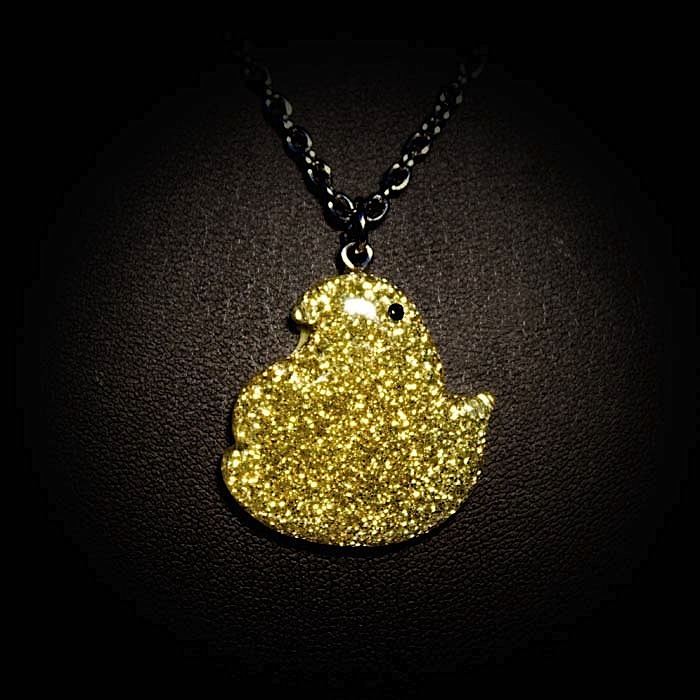 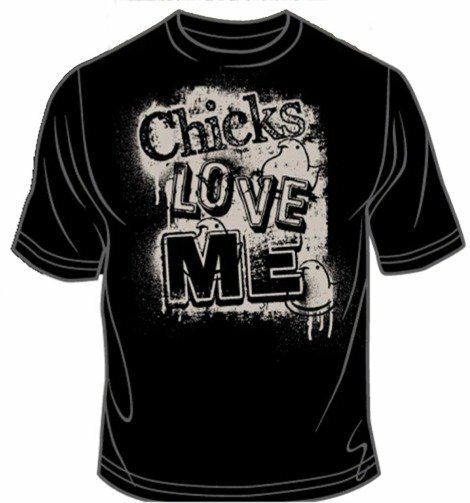 Visit Peeps and Company's new dedicated website which offers the above items and many more. 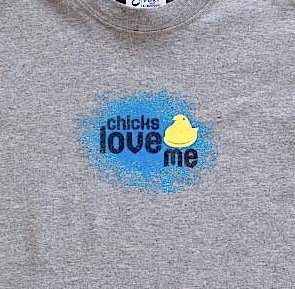 • Non Perishable Peeps Products. 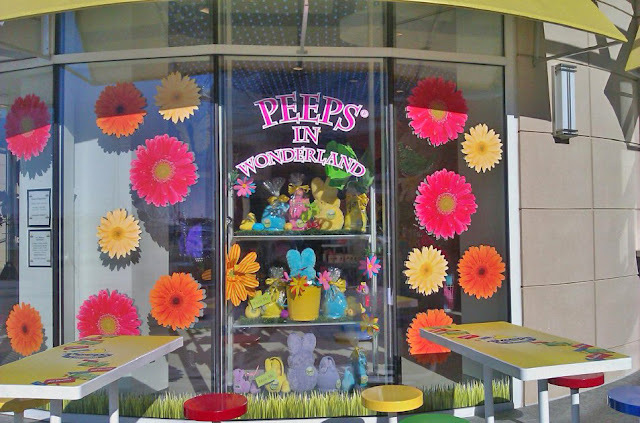 Everything Peeps But The Edible Ones.